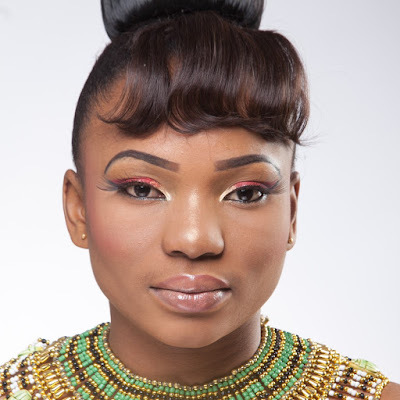 Vivien Ike is popular actress,Chika Ike's older sister who relocated to Nigeria two years ago after living in America for a long time. She currently runs a production company which is making a debut in television production with a reality show called 'Blind Tasters'. In an interview with Qismat Yinus,she speaks about her relationship with Chika,and her reality show. A born again Christian who knows that for her to fulfill her purpose, she has to first seek the kingdom of God and everything else will be given to her. I grew up in a family where family values lies in teaching the golden rule and practicing what we were taught. That golden rule, as my mum would say is to treat others the way you would like to be treated. For me, that’s true religion. Added to that, pray without season and have faith in God. 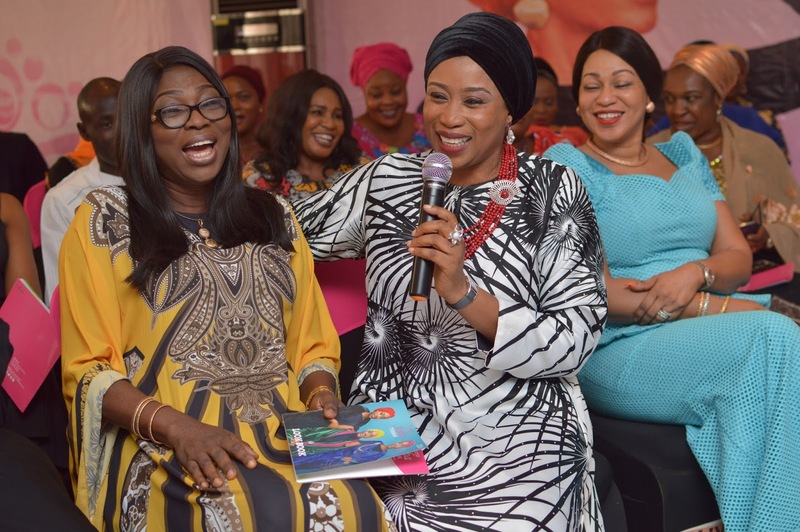 How is your relationship with your sister Chika Ike? We have an understanding relationship and treat each other with much love and respect. 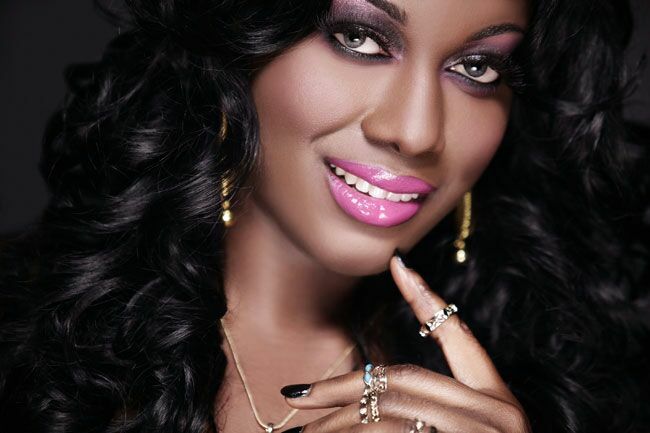 How would you describe your sister Chika Ike? My sister is an amazing human being. (Laughs) I asked her of a word that describes her and she thought for a second and said, “drive.” I was like oh…ok. Now, drive means ambitious, a go-getter, someone who is determined to go that mile to get what she truly deserves. I respect that. Some people claim you came back to Nigeria to compete with your sister,is this true? Ouch! I did not return to compete with Chika Ike. Doing that would only make me bitter. I only returned to do what I was meant to do. So, as it stands, I look in my mirror and see my competition and that is, myself. My aim is to improve on who I was yesterday and become a better version of me. Do you intend to continue with your acting career? I am open to anything as long as it keeps me on the right path. I know where I am coming from and I am well aware of where I am going so whatever decision I make has to be in alignment with my purpose. Creativity inspires me because it breaks down walls and dissolves fear. It boosts your self-esteem and soon enough you begin to see yourself as a creative genius. Because there are no rules, you have so much liberty to express yourself and stretch your imagination. I actually believe it’s the foundation of success. Well, I am a perfectionist so I will go with Jesus- because he is perfect. But if you had to rephrase the question and ask me the ones I truly admire, I would not mince words when I say Steve Jobs and Oprah Winfrey. I love people that think different and also those that are cheerful givers. Why did you leave the United States for Nigeria? I am an intuitive person who believes that nothing is sheer coincidence. I believe the main reason why I won a US visa lottery was for me to garner the experience that I needed to do what I am doing now. So at the appointed time, my spirit was restless; I knew I had to return and that’s exactly what I did. Tell us about your new reality show called Blind Tasters cooking competition? Blind Tasters is a healthy competition that celebrates family values, promotes the concept of love, friendship, and cooking. It employs blind tasting as a means of evaluating, promoting, strengthening and rekindling the bond between people. This healthy competition involves seven contestants and seven blind tasters. These blind tasters could be family relations or friends of the contestants. 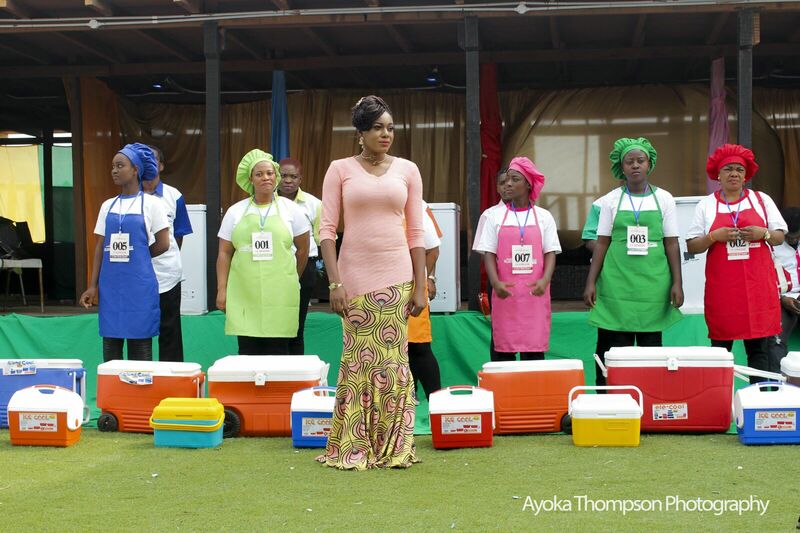 The contestants are assigned to cook while the blind tasters are to identify their contestant’s dish. If they fail, they send their contestants to the danger zone where each of them has to identify whatever is presented to them. They do this with their eyes closed and noses clamped. Any contestant that fails the test goes into the elimination room to face a celebrity judge and two other judges. There, they are judged based on the presentation and taste of their food. The contestant with worst food is eliminated and the one that has the best food wins. The overall winner of the competition leaves with a cash prize of two million Naira and a brand new car. How does Blind Tasters stand out among other reality shows? Blind tasters already speaks for itself as its format has been reviewed by top production companies like Buck Productions, which is a leading content creation company honoured multiple times on Real Screen’s Global 100 list as one of the most influential, inspirational, and world leading production companies in the world, Eye Works Belgium, acquired by WarnerBro and is seemingly one of the leading independent TV and film production companies in Belgium, relatively Real, the television arm of Relativity media, that produced the hit shows MTV’S Catfish and The American Bible Challenge. Documentary Makers (NeonTV) and InTroubleZone Productions also reviewed the show. Also Blind Tasters is a show that celebrates family values, which includes social, political, religious and work values. All these strengthen the bonds families have and help kids make good choices. I am confident that Blind Tasters will appeal to a broad demographic due to its varied content and entertainment value. For example, a mother can be the contestant and her 7 year old can be her blind taster. In three words, describe Blind Tasters show? In three words, Blind Tasters cooking competition is colorful, fun and rewarding! When I say Blind Tasters is rewarding, I am not just taking about financial reward but things that money cant buy like fixing broken relationships, restoring peace, trust and unity between families and friends. For me, there are two relationships that really matter,our relationship with God and your relationship with your family. As we know, some people consider friends, family. Blind Tasters has been able to attract international sponsors like Skyrun international company, and big name sponsors like Eleganza,and Tarzan Cargo services. We also had part sponsorship from the deck at Oba Elegushi beach. We are very grateful for their contributions as we look forwards to more sponsorship opportunities in the future. How do you think this will contribute to the economy? Creativity is important for economic growth and development. Due to this, my focus has always been to create wealth and in doing so, promote a creative economy. Everything in this world began with a simple idea and this has created job opportunities and generated income, thereby contributing to the development of countries. Blind Tasters is no different in the sense that it is a brilliant idea that has the potential of doing the same thing,generating income and creating job opportunities, which in essence will promote a creative economy and maximize developmental gains in this ever changing world of ours. By his grace, my production company, Vivienike productions limited, will produce more shows, movies, documentaries and more in the future. My team and I strongly believe that greatness lives here and we are determined to prove it. Jumpsuits and playsuits are easy and chic ways to achieve a stylish look.Ankara on the other hand has been trending for as far as we can remember, and it keeps getting classier with new creative styles from fashion designers,one of which is the Ankara jumpsuit. Not only are they flattering, designers are fully on board with ways to dress up Ankara jumpsuits. Whether your day involves lounging around the house, running errands, hanging out with friends,or rocking red carpet events, the one-piece Ankara jumpsuit trend will give you that sassy look. 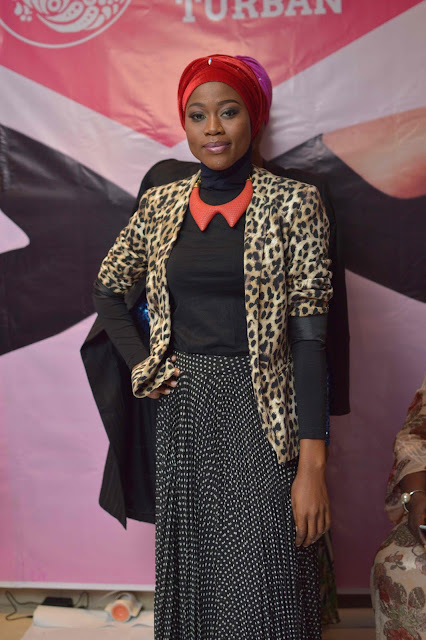 Here is how fashionistas are slaying "The Ankara Jumpsuit Trend"
Every one has a favorite colour. While most people are all out for complicated colours like cranberry, most people still prefer the very simple colours or even going as far as mixing it up. It is evident in our clothes, make up and accessories. But as a lady,you can never go wrong with colours such as black,red,pink,purple,yellow,orange,and white. Here are some latest designs from Popular England based Nigerian fashion designer, Ade Bakare. 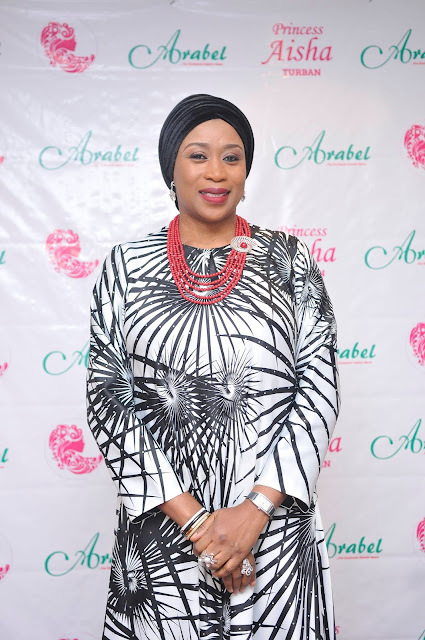 Popular Nigerian Islamic store, Arabel has just launched its 2016 collection tagged "Princess Aisha 2016 Turban Collection". 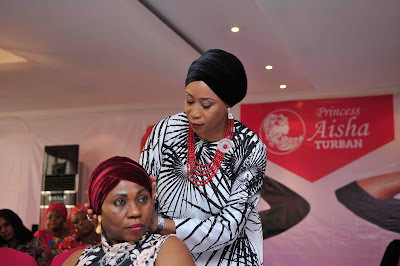 The presentation of the line took place at The Westwood Hotel,Awolowo Road,Ikoyi,Lagos on Sunday,January 31,2016. Arabel showcased about seven new designs to the admiration of invited guests,among whom were Former First Lady,Dame Abimbola Fashola,Mrs Bolanle Ambode,Deputy Governor of Lagos State,Mrs Idiat Adebule,Modele Sharafa Yusuf,Honourable Funmi Tejuoso,and a host of others.Qismat Yinus was at the event and now brings you all the details. 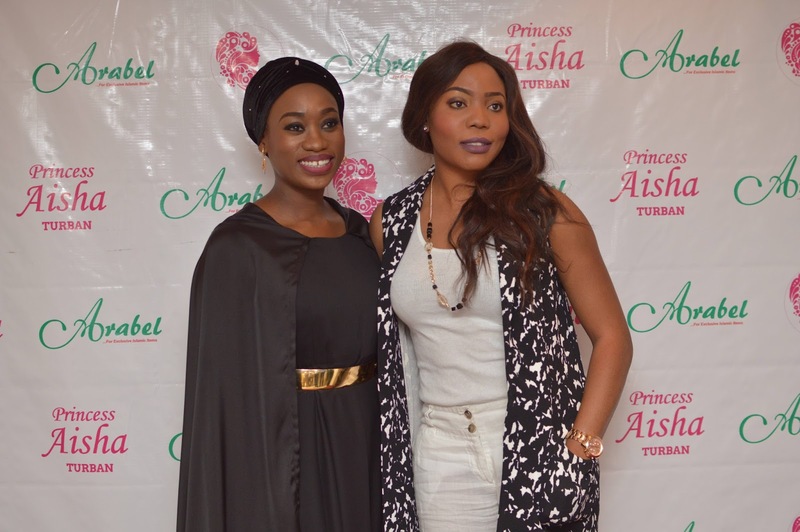 Princess Aisha Turbans which are manufactured at the Arabel factory in Lagos by Nigerians, were individually handcrafted .It is a premium quality brand with a mission to marry modesty with elegance without compromising quality.City People gathered that the fabric of choice for the line this year is Velvet,as high grade velvet that is soft,supple,shimmery,and cool was used in the production.Original Swarovski crystals,or Asfourelle crystals were used to create the amazing collection. 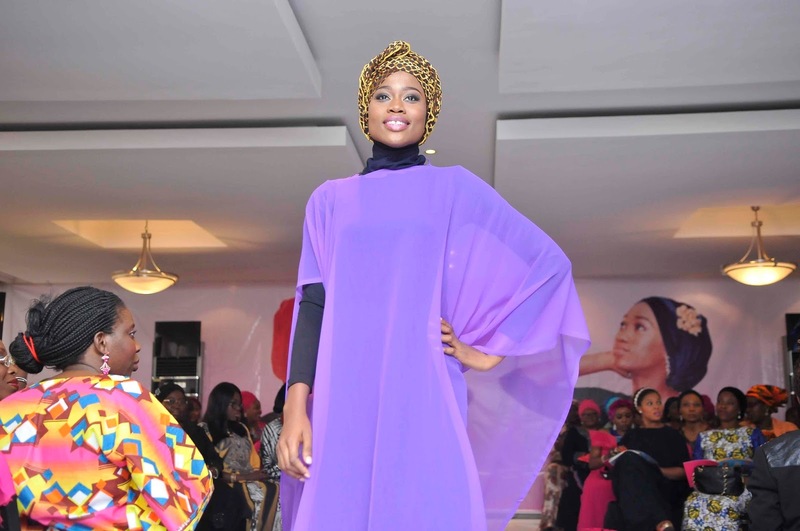 The collection which was named after Aisha,the pretty daughter of Arabel boss was modelled by Aisha herself,Maryam,Surat,who are the brand ambassadors,and also some other models. The presentation was indeed a glamorous one with customers of Arabel,and other dignataries in attendance. Qismat Yinus caught up with Mrs Shareefah Abiola Andu who is the C.E.O of Arabel,and also her daughter Aisha who happens to be a lawyer but assists her Mom with the business. They both spoke on Arabel,the new collection,and why it was named after Aisha. How do you feel at the moment Ma? I am very happy. I have worked very hard,and I'm just so happy it turned out like this.It is a thing of joy that we are finally launching The Princess Aisha Turban from the stables of Arabel. 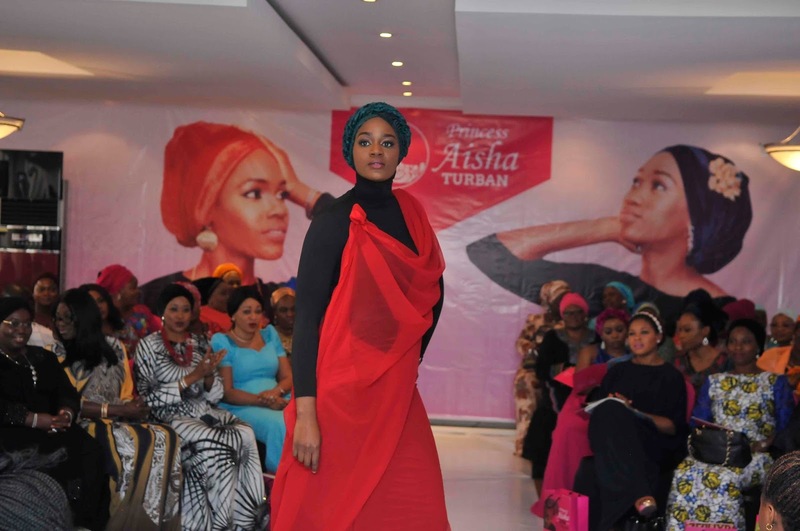 So what exactly is the Princess Aisha Turban collection all about? It is actually a turban brand. A lot of people wear turbans these days,but ours is different. It is not like any other turban,it is a premium brand.This means quality is assured. We have taken a lot of effort in making them,and they are actually very stylish as you can see. They are for ladies who want to cover, still look very nice,and be proud Muslims or proud women dressed elegantly. I think I'm just a brand person. This is just the next thing after Arabel. I like to do things very well,with international standards,so it will be acceptable anywhere. I didn't just want to do the turban line and call it Arabel turban,it has to have it's own brand. We are looking at exporting,and not just selling them locally. A lot of ladies now wear turban as a trend,what exactly makes your line of turban different from others? Everybody wants to wear turban,but ours is a premium brand. Style,quality,and affordability are the three words that drive us. The style is topnotch,the quality is there,and they are also affordable. We know that things are very tight in Nigeria,but we still want people to look very good. We want Muslims and Christains to look good,because everyone is wearing turbans these days. Why did you choose to name the collection after your daughter? I think it sounds very well,and I have only one daughter. She is my bestfriend. Princess Aisha is a nice name,and she is from a royal family. What other fabrics do you like to work with apart from velvet? This year I'm working with velvet. I have worked with stretch net lace,and other fabrics in the past,but this year I'm working with velvet. I'll be using velvet of different types like plain velvet,velvet mixed with silk. 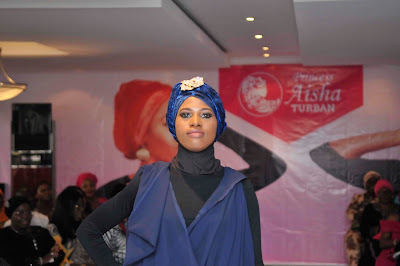 I'm using a lot of embellishments too,so you can stand out when you use The Princess Aisha Turban. Why did you choose to go into the business of Islamic items? My religion inspired it. First of all, I'm so grateful to God, and I thought I had to go into something to serve him. This is my own way of serving him.Providing an avenue for people to look good,and also projecting Islam in a very beautiful way. That is what I do. I make sure I sell products of high quality,so that people would see Islam as a beautiful religion. The business is actually motivated by religion first and foremost,and then humanity,we have a lot of people working with us. We have Muslims,Non-Muslims,hearing and non-hearing people who work with us. People call them deaf,but I call them non-hearing. It is an avenue to create employment opportunities,and also making people and their homes beautiful on the other side. I'm just a fulfilled and happy person. I have a first degree in Sociology from Unilag,and I have a Masters Degree in Banking and Finance. How can Muslim ladies be trendy without going against Islamic injunctions? There are so many ways of doing this. you can even go online,and learn how to be a Muslim and be elegant. You don't have to give an excuse that you are not covering your hair because you can't find what suits you. 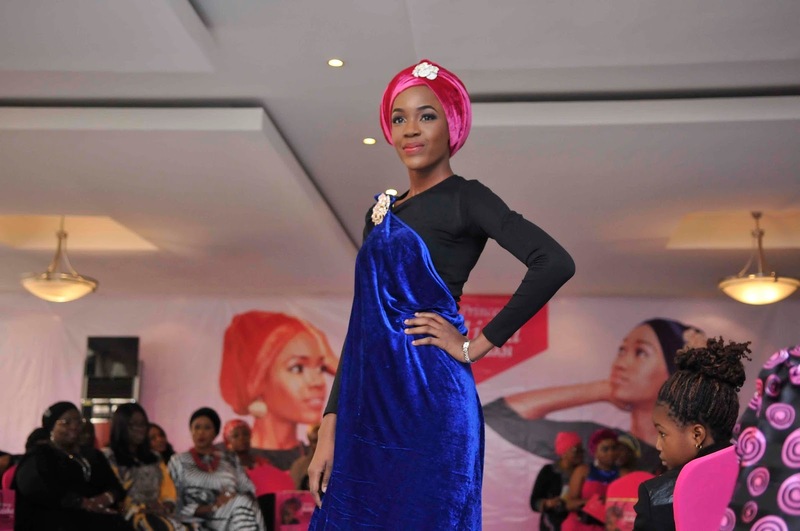 Long skirts are plenty in the market,Turbans are in Vogue.So you can actually cover and cover well. How does it feel to have a turban line named after you? Well,my mom is a wonderful person and for her to do me the honour of naming this collection after me,I'm very proud and honoured. So what exactly is the line about? It is basically a headgear or headpiece line.The idea was to make something that would be used to cover up,and still look trendy. My mom is a very creative person,so she came up with a line of easy to wear turbans. I'm her only daughter,and the last child. We are like bestfriends but she is still my Mom and I have utmost respect for her. She is a wonderful person. My Mom is my mentor. So do you work at Arabel? No. I'm actually a Lawyer,but we brainstorm on ideas together.When I was in University,I used to go with her to her shop,and factory during my holidays. Aisha Adedoyin Andu is a twenty something year old Litigation Lawyer. I try to be a good Muslim. QYB Owambe: Aso Ebi Trends To Show Your Tailor This February!!! Hello QYBers! It's time for another QYB Owambe, where you get to see some "ghen ghen" aso-ebi trends which you can give your tailor this beautiful month of February. It's a brand new year, and we are already seeing a lot of fashionistas showing us a glimpse of what this year has to offer in terms of fashion. Fast rising Nollywood actor, Obiakor Leonard Uchenna is currently on set of a new Nollywood and Hollywood film collaboration. The story line is of a retired police officer who was pushed back into the game after a criminal he arrested came for his family. It’s an action packed movie set to thrill its audience. At the end of this move, we will have planted an idea of a community were collaboration and healthy competition can begin to germinate. Of course we hope that we do not stop at building the people, we hope to empower the people to move on to empower others (Think of exponential increments: one person tough 10 people and each of those 10 people take it upon themselves to coach 10 other people and so on; just like Jesus did to his disciples). Fast rising Gospel singer,and upcoming actress, Joy Bucknor is one lady with a passion for changing lives and ministering the word of God to people. The very pretty wife and mother of three is fast becoming a household name in the entertainment industry in Nigeria. The soulful and very enterprising lady spoke about her marriage and career in this interview with Qismat Yinus. 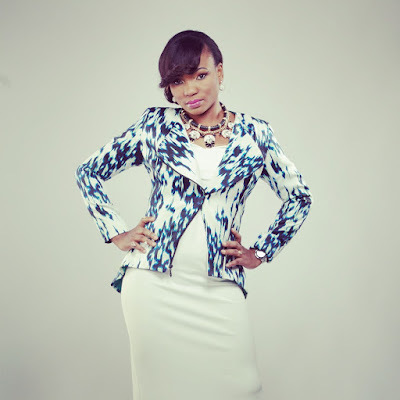 I am Joy Bucknor, an artiste and upcoming actress. 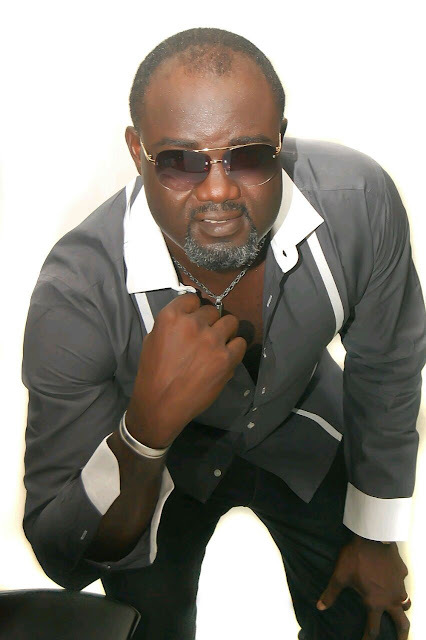 I am a Gospel artiste. I love to sing,but not just to entertain. I sing to minister to people. Music should not just be something trashy. Music should be something that minsters to your spirit. It should lift your spirit up.I love doing music,that lifts people's spirit,get people thinking,and also make them happy. The acting is also a passion. Sometimes when I watch and see how actors portray characters, I am amazed at how they pull off their roles. That is how I fell in love with acting. It is something I was born to do. It is inbuilt. I am married with kids. I attended Ogun State Unversity where I studied computer engineering. With a background in computer engineering,why did you venture into showbiz? It is not a surprise when you are coming from Africa,where you have parents who want you to go to school,and do somethng serious. They want you to study to be a doctor or a lawyer,but things are changing now. Parents now advice their children to do what they love,and express themselves. I found myself doing Computer Engineering because my Dad wanted me to do something serious. I was also very good in science subjects while I was in shool. But that artistic side of me is something I was born with not something I learnt in school. It is just a natural attribute or gift. How did you find your way into showbiz? How do you find your way into something ,if it is already in you? You don't find your way into it,you just find yourself doing it. It is just who I am. I grew up singing in church. How has it been since you started ? It has not been easy. You know sometimes,when you look at the artistes making it in the industry,you think they just woke up one morning,and luck fell on their side. No, that is not true. There is a lot of work involved,a lot of challenges that we face in this country. So it has not been easy. I had very high expectations,but reality always keeps dawning. That's how life is,so when you are dreaming,you have to remember that it is one thing to dream,and it is another thing to make that dream a reality. We thank God for how far he has brought us. 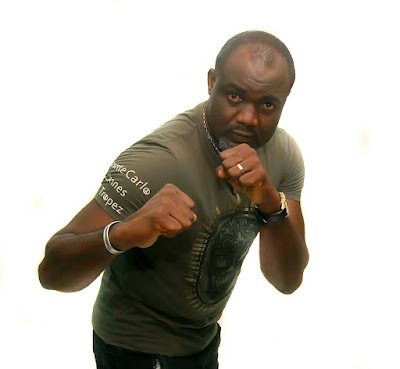 What do you think about the entertainment industry in Nigeria? It is evolving. You can not compare it to how it to used to be,but there is still a lot to be done. We need more support from the Government,and also multi -nationals. Why exactly did you decide to go into Gospel music? I describe my music as inspirational,and you can also tag it Gospel,because when I sing glorifying God, my maker,you can call it Gospel,another man can call it inspirational. I chose this line because I want to pass a message to the younger ones and people out there. I want people to know that there is more to just waking up in the morning and hustling. I want them to know that there is more to this short time we have on earth. Our stay on earth is short ,and so insignificant. After we are done with this short stay on earth,we discover that there is another life,that is a lot real than this physical one. I want my music to bring that awareness. I won't go out and sing "shake your bum bum",or those kind of songs. That's just not me. There are a lot of people that I look up to. These are people that are passing positive messages,and have refused to compromise. They do not want to be tempted to go mainstream, because of the money there. I look up to people like Cece Winans, Fred Hammond,and Byron Cage. He is very supportive. He has been into entertainment much longer than I have. It is something that just comes naturally with us. He has always been doing this,so he doesn't see anything wrong in supporting me. 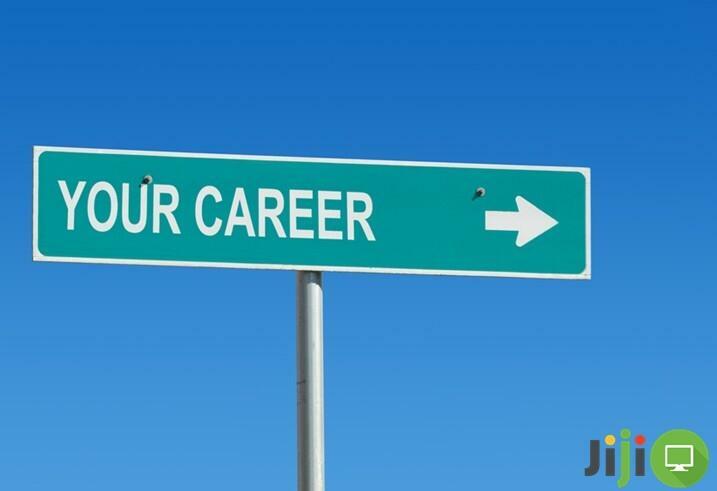 How do you balance your marriage and career? I won't tell you that it has been easy,but that is life. Even if I was a banker or tomato seller,it still wouldn't be easy. I just take it the way it comes. I don't complain. I just make the best of the time I have to do everything. Put God first. When you put God first before everything,he will give you the spirit of wisdom, to be able to know how to set priorities in terms of timing,and what should come first. I dare to tell you that it is possible to win on both sides. It is possible to balance your career and marriage when you have the spirit of wisdom from God. I won't advice women to just sit at home and do nothing,or not pursue their dreams. Every woman was born to do something great on earth. 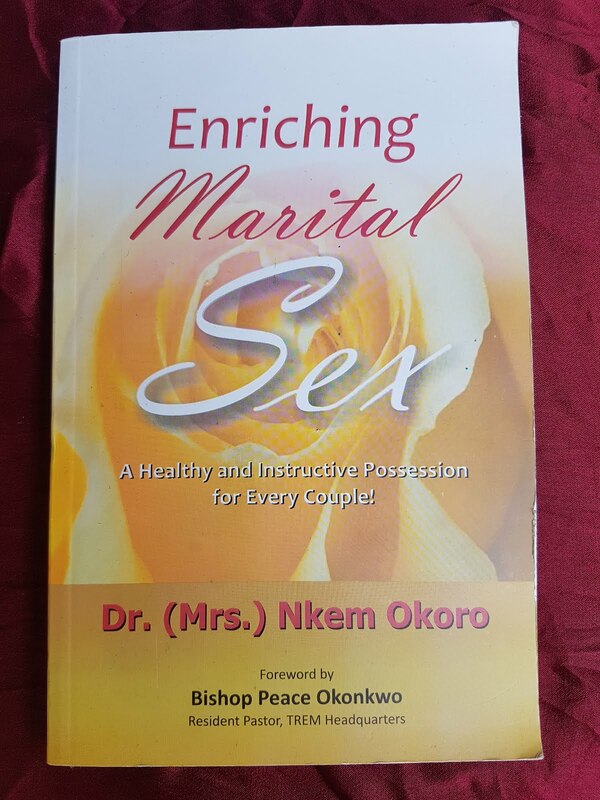 My marriage is a normal kind of marriage because it is filled with with ups and downs. I am not going to sit down here and say it has been perfect all through . It has not been perfect,because I am a human being,and so is my husband. We both have flaws,but at the end of the day, because God is the center of the home,we have no choice but to come into a place where we agree that we cannot afford to let the devil have his way. We are imperfect creatures living together with a perfect God. He is a gentle,cool headed man. My husband is a very simple,and humble man . He does not like trouble,and doesn't like to step on anyone. We met in the studio.He just came back from London to set up a record label. A friend told me about the studio,and how they were looking for artistes. So we went for the auditions ,and he liked us. I went with my sister,and some friends. He was ready to sign us,but along the way some things came up,and disrupted the whole process. He had some problems,and people left him,but I stayed. There was nothing like a proposal. This is Africa,it is not like the ones we watch in Hollywood , where the man will kneel down and propose. There was no such thing. It was something we knew would happen,and it happened.